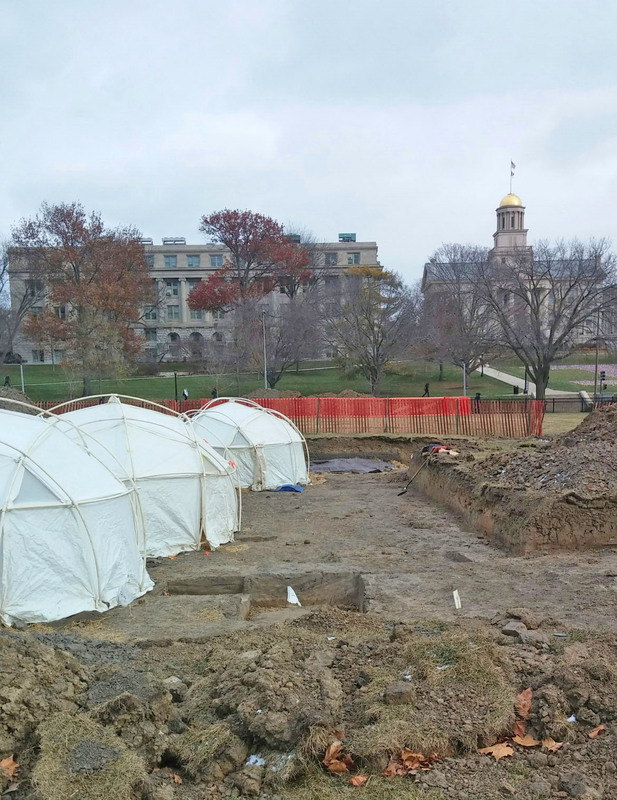 Archaeological work has shifted to the south end of the park. There, low-income renters lived near a small corner grocery run by the Sicilian Rinella family. 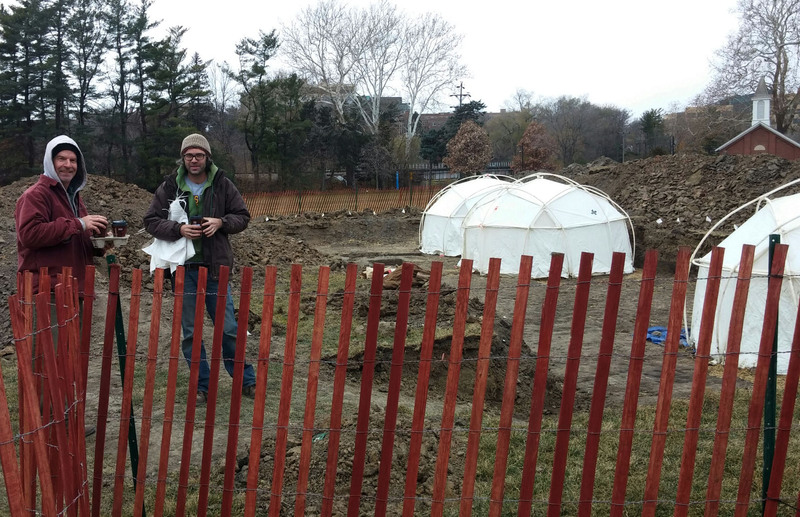 The archaeologists and volunteers are staying warm in plastic yurts. Excavations are expected to continue through next week. A backhoe has removed the modern fill, exposing the 1860s ground surface. Note the Old Capitol building in the background. 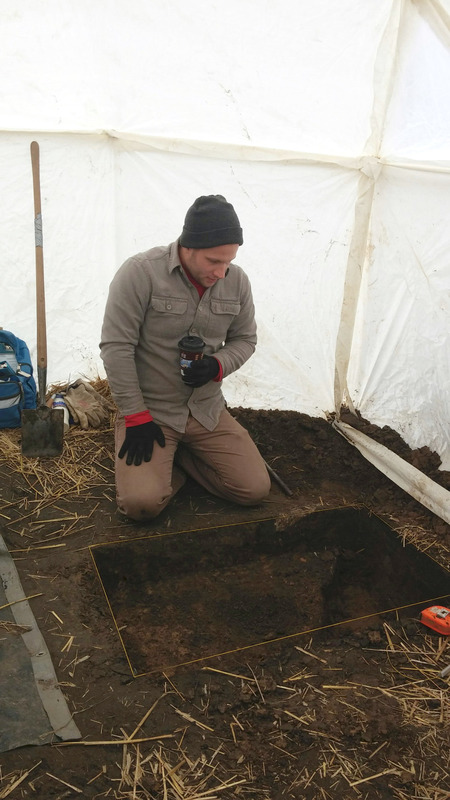 Inside a yurt, Anson Kritsch excavating a historic feature. Alan Hawkins and Bryan Kendall staying warm on this 5-degree wind chill day!